Whenever we hear the word corruption then naturally we start thinking of the bad acts damaging to the people. The vile acts done in order to get the bribe can be regarded as an act of corruption. Corruption is a curse for any society as it snatches off the rights of the deserving people and gives them to those who do not at all deserve them. Moreover, it becomes a cause of evils in the society. It takes up the face of moth and eats up the goods of the society slowly. The main cause behind corruption is the greed of man. In order to get more things and luxuries of life man tries to eat up on the rights of others. Pakistan is also a prey to this menace. All the working system of Pakistan is badly effected due to this menace. Following are some of the causes of corruption in Pakistan. The main cause of corruption is the non-implementation of Islamic rules in this country. There is no democracy in Pakistan that has been regarded as an important pillar for the governmental system of an Islamic state. The people are a prey to the discrimination in Pakistan. The rich people are always preferred over the poor ones by the government for the reason that the poor people do not have much resources to bribe the governmental workers. Pakistan faces this problem for the reason that there are no good job opportunities for the people. As people see that with no good job they wouldn’t be able to earn good and support their families then they take the help of unjust and unfair ways to get the job. For-example; bribery. Mostly the bribe takers are those who do not get good salaries. As they do not find any other way to get money hence, they get ready to receive bribe. The other reason behind corruption is lack of check and balance on the governmental authorities. The system of check and balances is only present in the text. There is no implementation over such rules that adds much to the corruption of this country. The lack of accountability and regulation makes the governmental authorities to eat on the funds that are destined to be spent for the good of public. They fill up their pockets with the funds that are to be spent on the educational, health and developmental ends. The police of Pakistan does not deal cases fairly. They are either under the influence of the bigger authorities or they are greedy to take the benefit out of the problem stricken or helpless people. The policeman are forced by their greed of getting to the higher ranks whereby they bow down to the orders of the influential people. Moreover, this can also occur for the reason that they are threatened to obey the orders of the bigger authorities or they would lose their job. The poor policemen in order to keep their job obey the orders so that they may not be snatched of their jobs that help them to support their families. Similar, is the case with the judiciary. The judges give biased decisions in their cases for the reason of external pressure or their greed of making money. 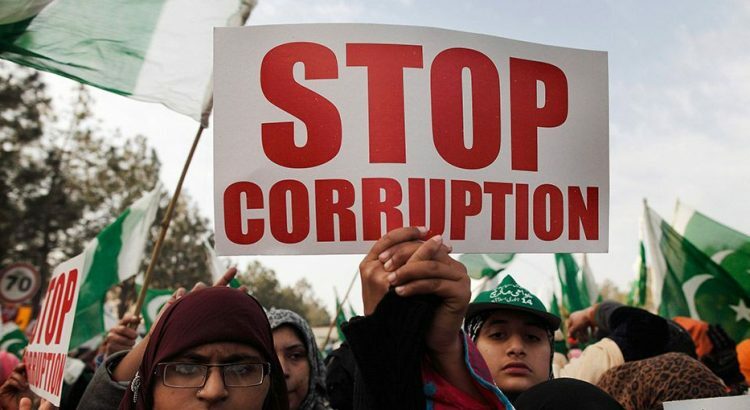 In order to lessen the corruption it is imperative for Pakistan’s government to look into the above mentioned causes. They democratic rules must be implemented on Pakistan in a true way. The government must introduce the system of check and balances and make necessary arrangements to lessen the evils of police and judiciary.